because dreams shape people and those who write have a dream to share. This highly detailed exploration of the history of grimoires leaves no stone left unturned as far as Egyptian, Christian, Jewish and Wiccan magic is concerned. As the title states this book only covers grimoires, so if you think you’re going to find the genesis of divinatory systems, such as tarot cards, you’re mistaken. Davies is predominantly concerned with ancient grimoires, for instance The Key of Solomon and the books of Moses, and how these continue to influence magical practices and written grimoires throughout the ages; leading up to the ubiquitous Book of Shadows. The introduction is light in tone and explains how books can be magic without containing magic. This quickly changes as we enter the first chapter ‘Ancient and Medieval Grimoires’ which is dry but does bring up some interesting points, for example in Roman antiquity high-class prostitutes were literate and so could have written love magic and binding spells which would be highly useful for them. The second chapter describes how the printing industry, reformation and witch trials affected magical grimoires. Davies continues with the discussion of political socio-historical events such as the Enlightenment and significant people such as Delaurence, and then applies these to magical grimoires. 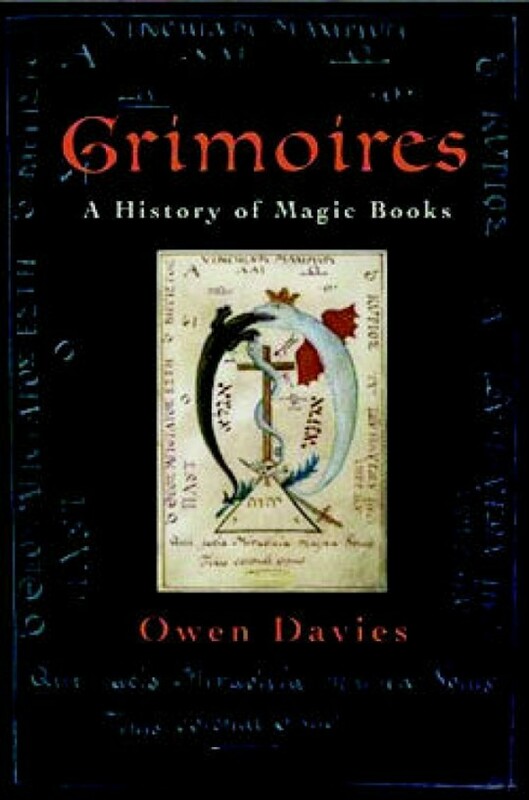 Davies sets out to and delivers a historical account of grimoires. Taking an objective view and explaining social context before delving into the grimoire, he provides his own criticism to the subject and draws upon many resources. However at times Davies is rather journalistic in his delivery as small parts read like a newspaper. Furthermore, some of the context he provides seems irrelevant for exploring grimoires. This narrative account on the murder of Sophie Lancaster, the goth girl who was killed for the way she and her boyfriend dressed, gave me shivers from start to finish. The S.O.P.H.I.E campaign was established to teach people to tolerate subcultures and campaign to extend the UK hate crime legislation to include ‘alternative subcultures’. The book opens by telling the reader that if it weren’t for this book, newspaper articles and court papers would be the only literature on this horrific event. This is also Smyth’s attempt to find the truth of what happened that night: why three ambulances were called, why two went to the wrong place and why a journey that takes two minutes by car took an ambulance 14 minutes. It is written by a journalist who became personally involved in the S.O.P.H.I.E campaign through her work. This ensures an emotive tone and prevents the telling from being too formal, however, at times, it does make you wonder how different the book would have been if told from another perspective. Smyth provides plenty of background information, such as education, personality and anecdotes, on the attackers, defendants and victims, as well as the history of the town and its racist, violent and intolerant past stemming from the 70s. The re-telling begins with Smyth receiving a phone call about an incident in Bacup Park; she goes on to describe how she discovered the attack of Sophie and Rob. We then go back in time to the night of the attack, where Smyth describes the unfolding of events beginning with Sophie and Rob visiting a friend through to the brutal primordial attack. From here the story is told in chronological order. We hear how Sophie’s death led to an accumulation of concerts, film festivals and peace marches in her honour. Smyth describes how one of her most difficult interviews in her long journalistic career was with Sylvia Lancaster, Sophie’s mother. 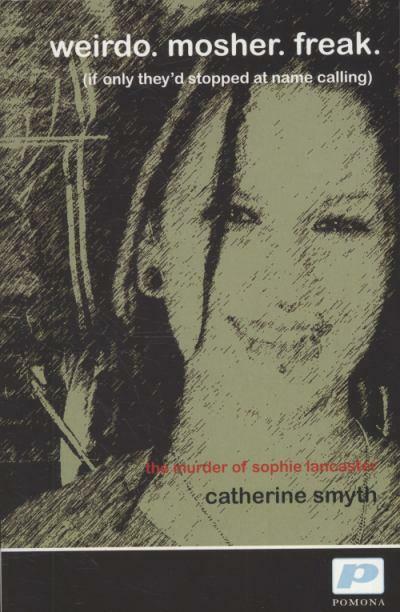 As Smyth became more personally involved, she describes Sophie’s funeral which she attended. This is followed by an account of the court trials including the attackers’ appeals for shorter sentences. Reliving the attack for ourselves we read the narrative transcript, of the phone calls made to the ambulance service, including background noises and voices. Overall, it is amazing to find how one death caused such a ripple throughout the alternative community and sparked such a proliferation of fund-raising events and rightly so! To find out more about the S.O.P.H.I.E campaign visit http://www.sophielancasterfoundation.com. Why I won’t be using eBay again!